Is 2008 Nebbiolo “closing down”? 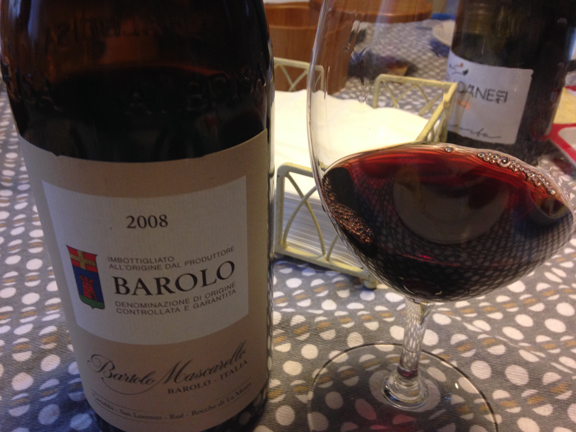 Another one of the wines that we drank for my birthday week (week before last) was the 2008 Barolo by Bartolo Mascarello (above). I’ve tasted the wine on a number of occasions since it was released and there’s no doubt in my mind that this is going to be a fantastic vintage for Maria Teresa Mascarello and for Langa Nebbiolo in general. On my birthday eve, Tracie P made me a “by-request” dinner of her breaded and fried chicken, mashed potatoes, and wilted spinach sautéed with garlic and a light dusting of chili flakes. I opened the wine early, around 5 p.m. And when we first tasted it around 7 p.m., its fruit was dominated by its earth and tannin. It began to open up as the evening progressed and we ended up enjoying it as a meditative wine, listening to Chopin performed by Rubenstein and 70s and 80s Paul McCartney (music also by request). By mid-evening it was gorgeous, but I believe that we’ve entered into a new phase in the development of traditional-style Langa Nebbiolo. These wines, in my experience, go through an initial stage of brightness and generous fruit but then “shut down” a few years after their release. I’m so glad to see that this wine is now widely available throughout the U.S. (Italian wine insiders know, all to well, the vicissitudes of this wine’s legacy in our country). It’s a classic and a benchmark and Bartolo’s daughter Maria Teresa is making some of the estate’s greatest wines ever (I really believe that and I know, anecdotally, that some of her top collectors share this impression). By no means am I saying that you shouldn’t drink it now. 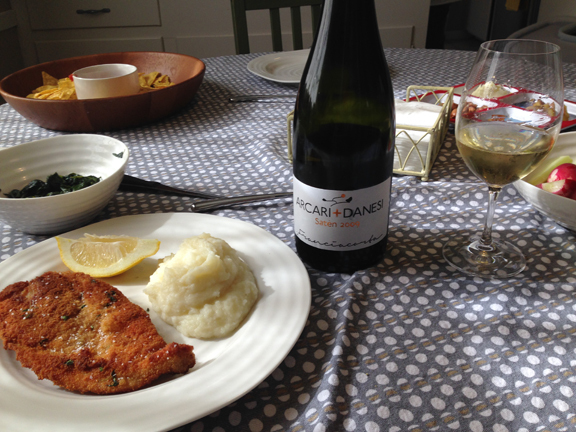 But do give it time to open up (gently, by simply aerating the wine; but don’t expedite it is my advice). Another highlight from my birthday eve, was the Arcari-Danesi 2009 Franciacorta Satén by my one of my best friends, Giovanni Arcari, winemaker extraordinaire and enocultural entrepreneur. That’s on deck for tomorrow… thanks for sharing my birthday wines with me!